Powerful, poetic meditations on motherhood, sisterhood, spirituality, solidarity, displacement/gentrification, racism, and sexism. My Mother Was a Freedom Fighter is poet Aja Monet’s ode to mothers, daughters, and sisters—the tiny gods who fight to change the world. Textured with the sights and sounds of growing up in East New York in the nineties, to school on the South Side of Chicago, all the way to the olive groves of Palestine, these stunning poems tackle racism, sexism, genocide, displacement, heartbreak, and grief, but also love, motherhood, spirituality, and Black joy. 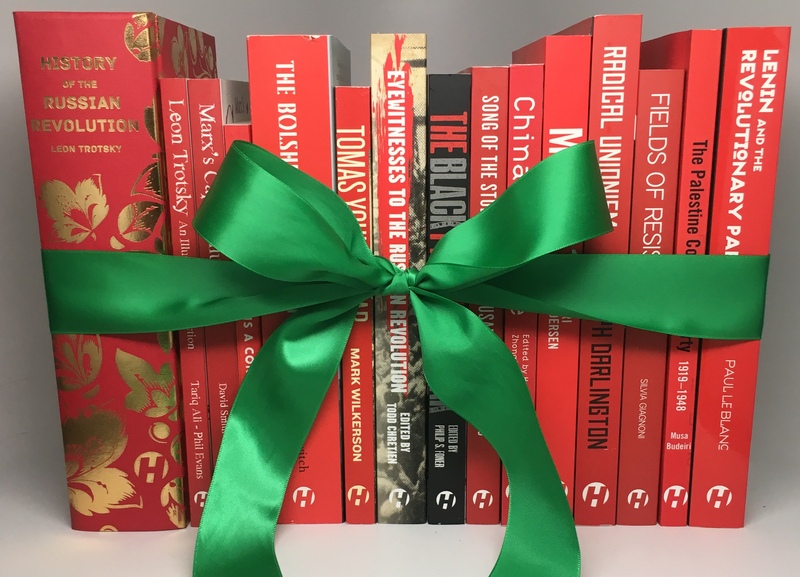 Take 50% OFF all Haymarket Books through Tuesday, January 2nd! Get a FREE Ebook bundled with every book purchase! Get FREE Shipping on orders over $25 inside the US. Edited by Kevin Coval, Quraysh Ali Lansana, et al. A first-of-its-kind anthology of hip-hop poetica written for and by the people. Before the Next Bomb Drops explores the Israeli occupation of Palestine and US militarism through a poetic lens. Activist, teacher, author and icon of the Black Power movement Angela Davis talks Ferguson, Palestine, and prison abolition. Original meditations on race, gender, identity, and the joy and pain of growing up, from a distinctive new voice.